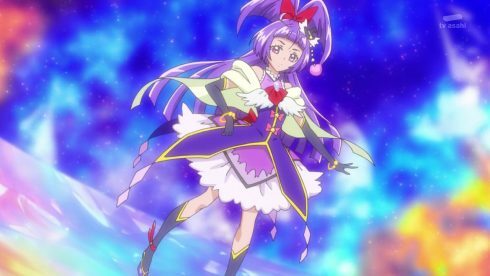 One of the best written of the PreCure series with very engaging characters and excellent world building, especially of the Magic Realm. The fact that it IS well written - people used to other series of the franchise could easily give up on the series and miss out as a result. It was already a little less than one year ago that I watched the first episodes of Mahou tsukai PreCure and was absolutely delighted. 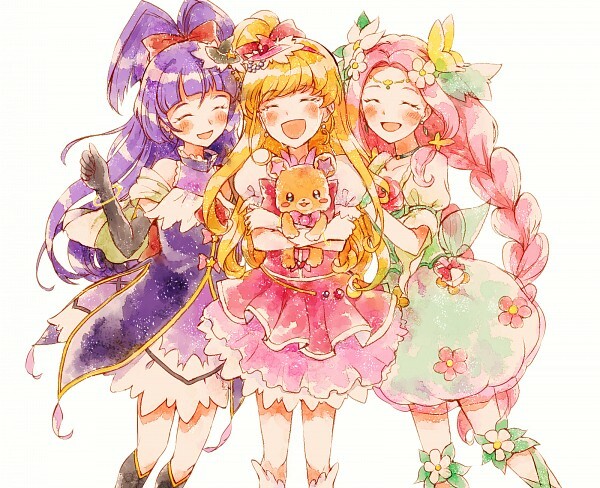 To be honest I had already been rather predisposed towards some aspects of the series (particularly Yui Horie being the VA of one of the PreCure) but it was the world building first and foremost that took me by surprise, together with the series going down new paths and going outside of the normal patterns while retaining some of the broadest outlines of other works of the franchise. I stuck with the series very closely and continued to be amazed. 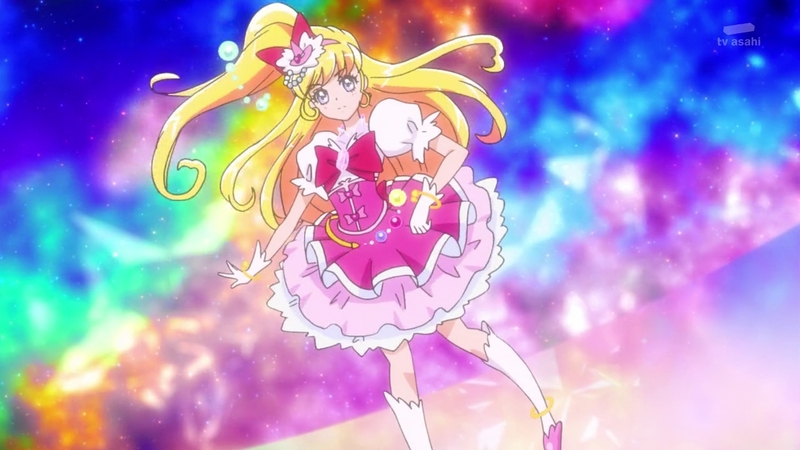 So after much mulling and discussion with other PreCure followers I finally decided to try my hand at the first series review on the site here (err, as far as I am aware of) of a PreCure series. So I hope you all will excuse me if I sound nervous, because in some ways I feel like I am trailblazing into new territory for the site here. 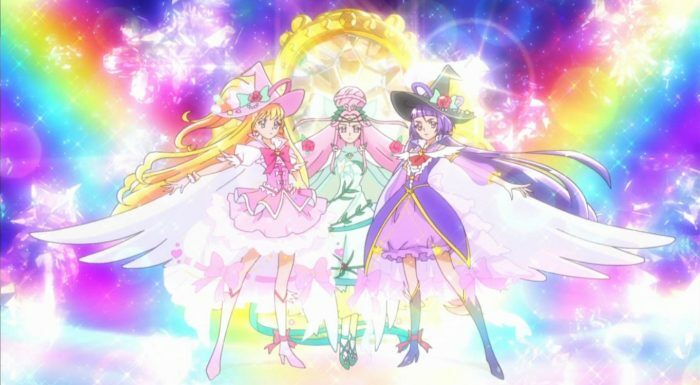 Before launching into the review proper, I should make a note: I assembled the First Look post for the series back in February of last year I went into a fair amount of detail regarding the “Mahou Shoujo” genre in general and the PreCure franchise in particular. 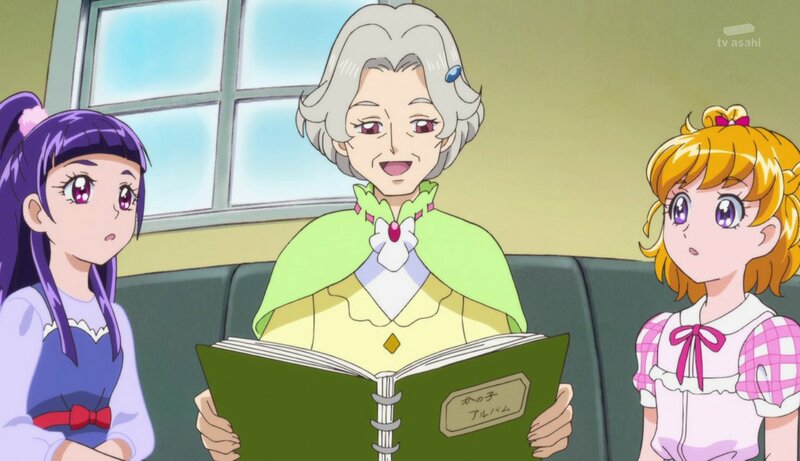 For those unfamiliar with the PreCure franchise I would definitely encourage them to read that post. 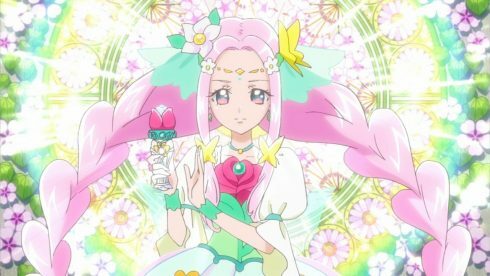 This review is definitely one that was tricky for me to know where to begin writing, partly because the PreCure franchise is so large and is such a lengthy, ongoing, successful franchise. It is quite big in Japan, but the argument could be made that it is a bit of a niche franchise, and that definitely holds true for those who follow and watch it outside of Japan proper. 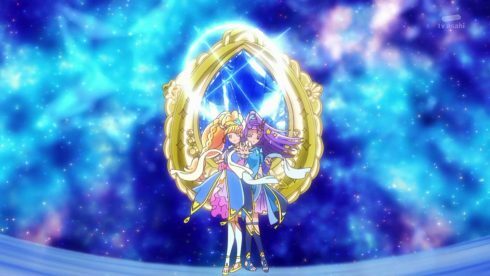 In some ways it is so large that I feel tricky in terms of grading the series, because to my mind I find myself comparing it BOTH to anime in general AND as it measures up to the other twelve seasons of different PreCure stories that came before it (each about a year in length, by the way – 48 episodes worth). 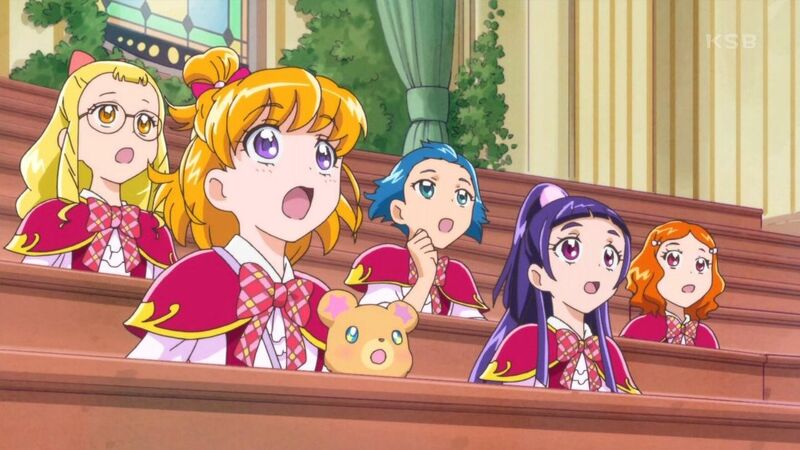 With all that in mind, though, let me just state outright at the beginning that overall for me Mahou tsukai is probably among the top three of the PreCure seasons that I enjoy (with the top seat probably going to HeartCatch PreCure). Yes, it was that good. 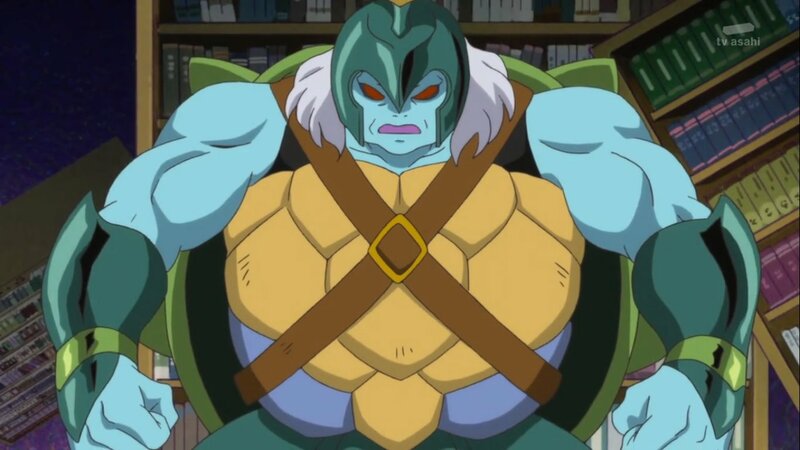 But in other ways, it’s strengths were also it’s weaknesses. It had a very careful and even skillful manner of telling the story, but it was actually rather … subtle … and easy to misinterpret. 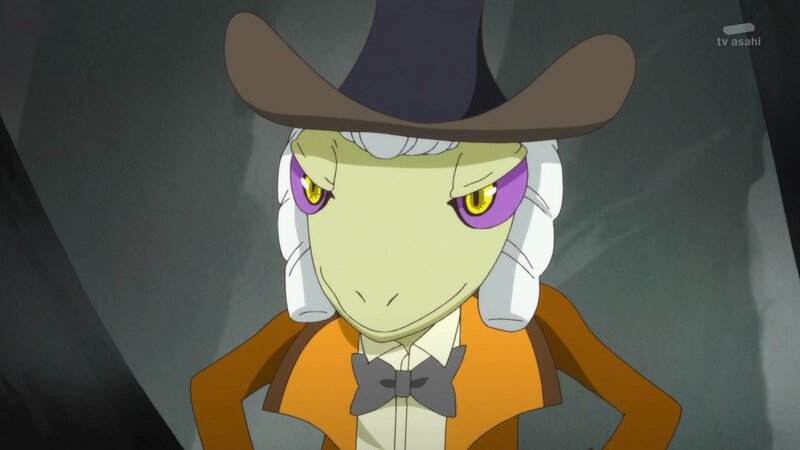 When the “big reveal” came about (in episode 43 or so) I was … well … really surprised and even a little … blown away. It hit me so intensely that I literally went back to the beginning and steamrolled the entire series again up to that point. And boy – had I ever missed the forest for the trees! When reviewing any series one of the most important areas to consider are the effectiveness of the main characters. If you don’t care two hoots about any of them or the manner of their presentation falls flat or fake or is a simple failure, why bother? 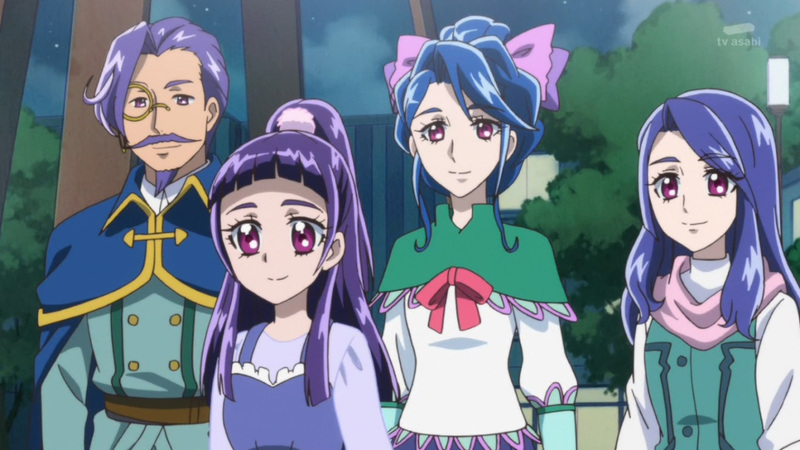 Fortunately in this case the two main leads (Cure Miracle and Cure Magical) are both very, very engaging leads with very good VA work behind them and their character dynamic, growth, struggles, weaknesses, strengths and interaction are pretty much both consistent, convincing and even endearing. 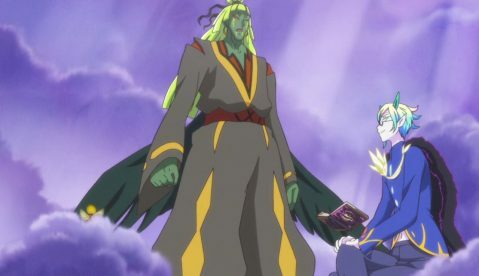 I found myself really enjoying their onscreen presence and following their adventures and battles. In some ways it could be argued that PreCure series that have their main initial focus in a duo have an extra bonus of trading off involved and detailed character interaction (and possibly humor as well) with a more focused gaze on the detailed development of the leads proper – both approaches have their strengths and weaknesses in my opinion, which largely means that the execution of the interactions becomes a very important factor. And in that respect Miracle and Magical succeed wonderfully. When Haa is eventually introduced (using a method of presentation I do not really recall in any other PreCure series offhand) she becomes a curious addition. 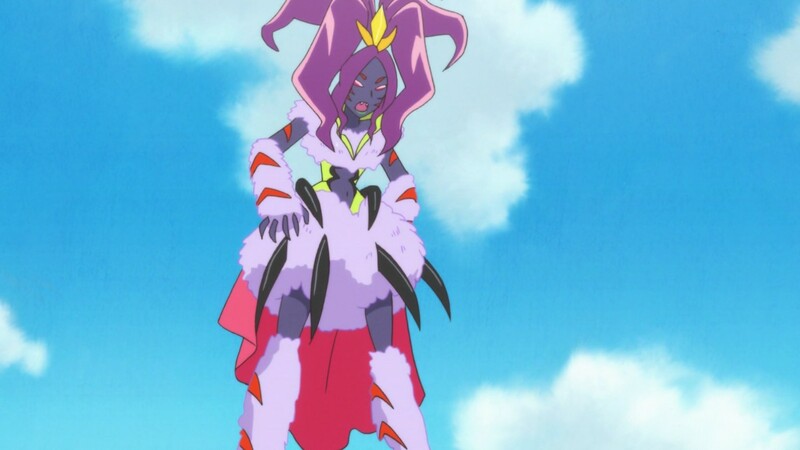 In some ways she very quickly is shown to be by far the most powerful of the now Trio of PreCures, but at the same time she is definitely (and curiously – no pun intended by the way) the less strong of them all in terms of personality strength. 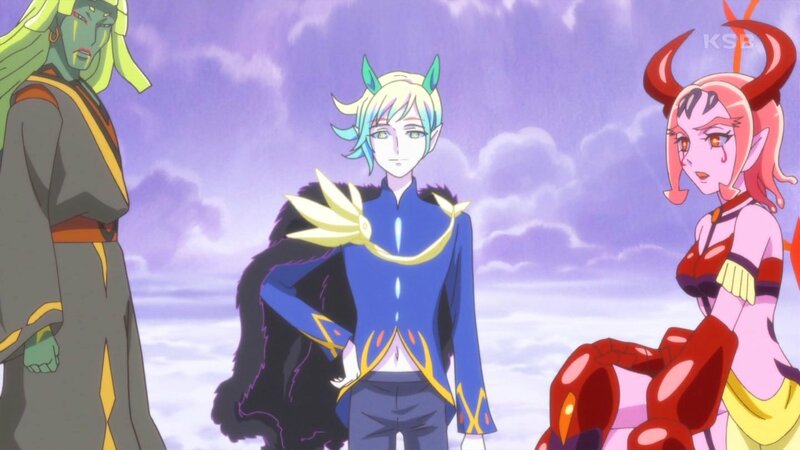 The thing is, though, that there is a very good reason for it in the overall framework of the series, and it never really feels “out of place” in a way. At most one feels a nagging “something” at the back of one’s mind that there is something else going on and that the viewers do not have a complete picture yet … a dim sensibility that proves true much later on. After the main characters comes the world setting and building. 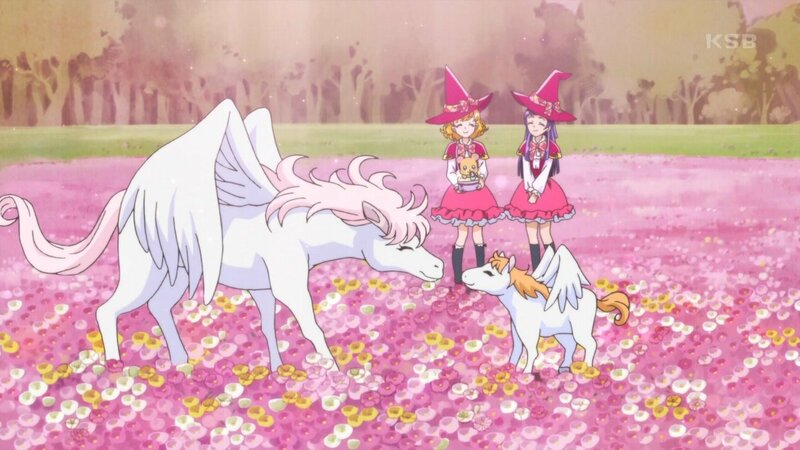 And here … HERE is yet another area that Mahou tsukai just excels. What they did in this series really does not have a precedent elsewhere. Much of the initial story takes place in … another world. 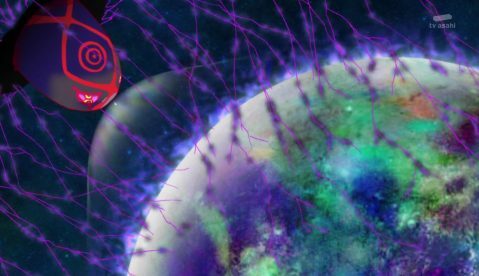 And it is not just some vague “other world” – it is surprisingly and extensively developed: towns, cultures and all variety of magical beings – like mermaids, pegasi, intelligent sea creatures, fairies, normal plants and animals and magical plants and animals, etc., etc. 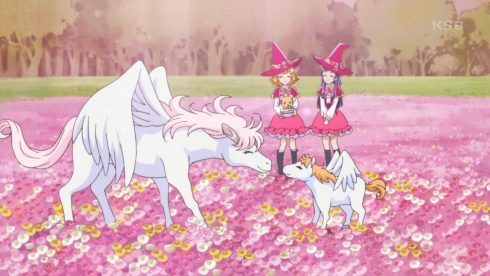 The magical world is largely water based, it seems, and is dotted with islands – normal ones as well as islands floating in the air. And there is also a clear sense of history and the past – some of the inhabitants have literally lived several millennia and are still perky and extraordinarily clear-thinking – and there are extensive records as well. 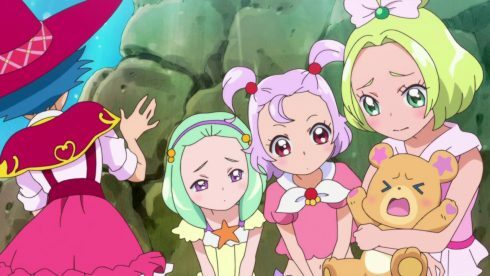 That is not to say that other PreCure series have NOT had developed alternate worlds or the like … what is different here is the detail, the variety, and the degree to which traveling and exploring therein was considered normal (not to mention that one of the PreCure grew up there). And sure enough, all this later on proves to actually be very important and integral to the storyline. Side by side with the world building was the sheer creativity and number of the characters … and the characters not only in the magical world, but also in the “mundane world”. Here we are not only talking about the “good guys”, or those close to or acquainted with the PreCure; we are also referring to the variety of the foes the PreCure encounter. 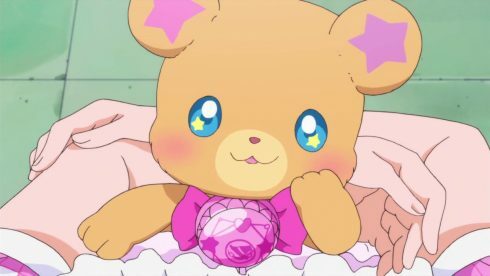 Incidentally the VA work of the various other inhabitants of both worlds was also quite well done, I thought – this was one of the rare PreCure series where the “mascot” did not irritate me (don’t even get me started on the fairy mascot Candy from Smile PreCure -_- ). 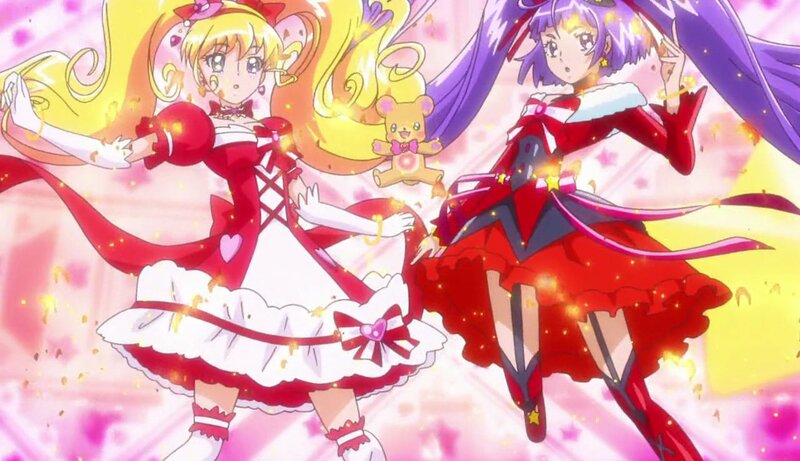 In addition, for good measure we also have the main PreCure duo having five main transformations by the end of the series, each with their own strengths, as well as another set of special attacking or defending powers available to them. Once again the PreCure franchise is not a stranger to the PreCure having multiple abilities or the like, but in Mahou tsukai it all fit very well together, both in terms of there being a very clear and even historically precedented reference point in the setting (and the story) but also in my opinion in terms of (once again) simple execution overall. I never felt like any of their abilities “did not fit” or “stuck out like a sore thumb”. Once again here the creativity and execution just WORKED for me. 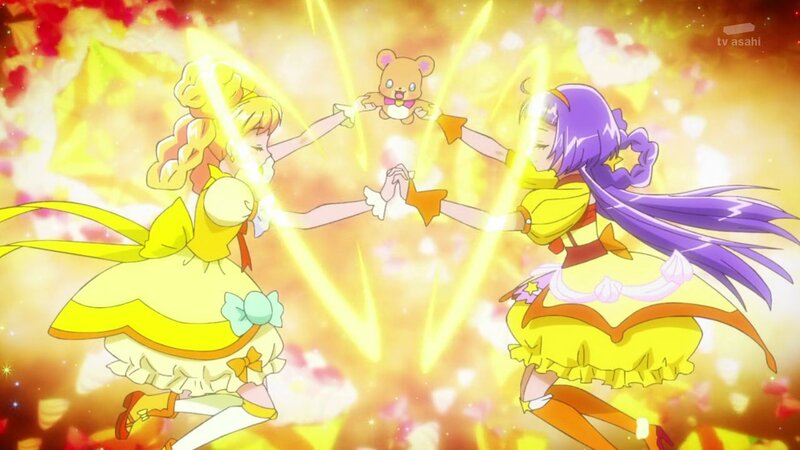 Finally there are the PreCure foes. There were two sets of them in this one, with the second “batch” being by far the more dangerous. 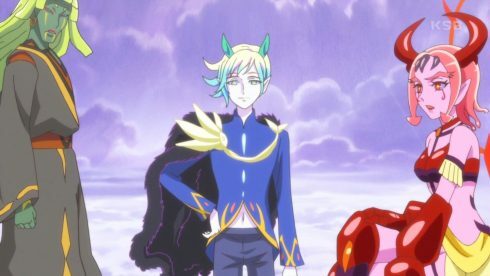 For my personal taste I find myself enjoying PreCure series where the opponents are really, really dangerous; a classic example of this would be Pierrot (again, from Smile PreCure). 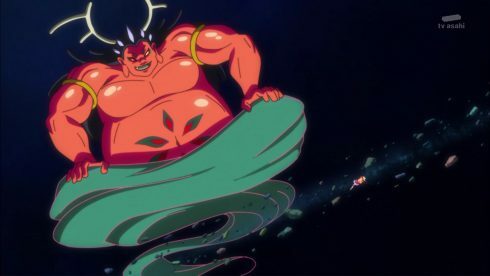 In some ways I still think he is the “scariest” of any PreCure “final boss”, and the final fight with him (it?) was definitely “srsbzns” and really had me on the edge of my seat. But the “final boss” in Mahou tsukai definitely gives him a run for his money in terms of raw power. 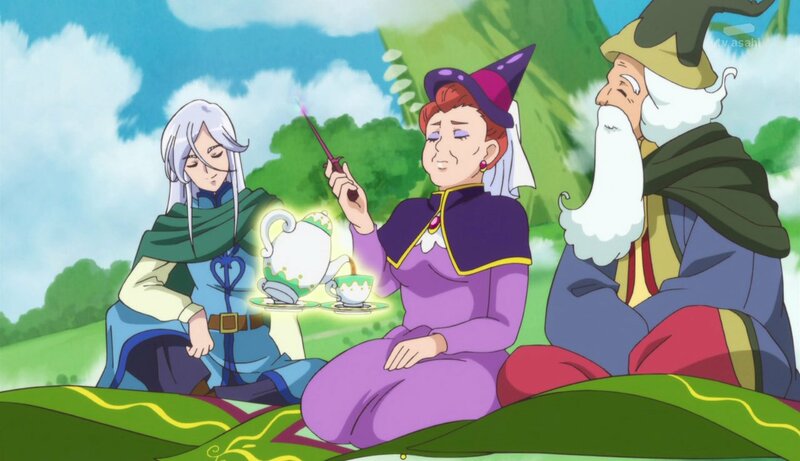 Talking about this aspect of the series is actually kinda of difficult to write about without spoiling things! Hmm … well, all that being said this series is one of the few of the PreCure franchise (maybe the only one?) where … how shall I say this … the story itself gives opportunity to “fight raw power with equally raw power”, and does so quite early on, but in subtle and slow ways building up to that point? (Gah! So difficult! 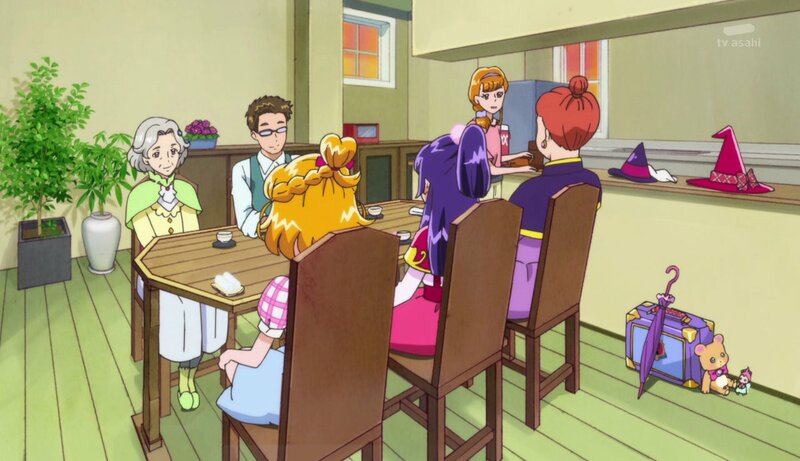 XD ) Accolades should also be given to the intricacy and detail of the two different groups that were the opponents of the PreCure in the sense of how intricately they related to each other, again, based on the details historical records and world building presented in a very effective and patient way. 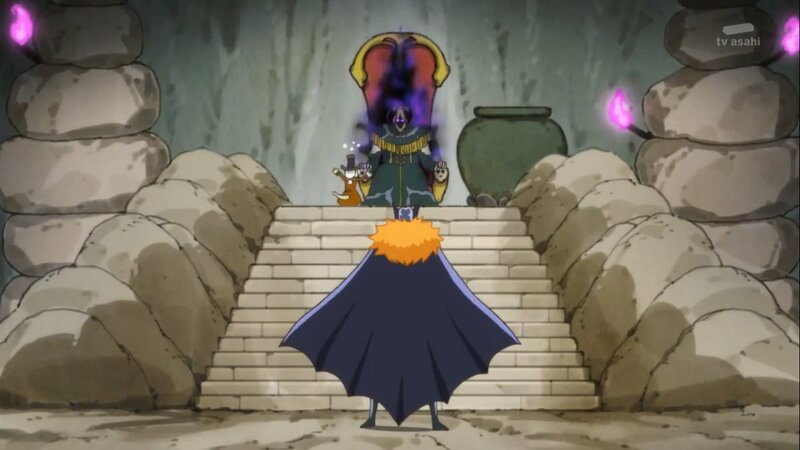 Yes – this “final boss” FELT like a real, serious and legitimate threat, and felt like it from the very moment it was first introduced. The technical aspects of the series itself were at best only good in my opinion. 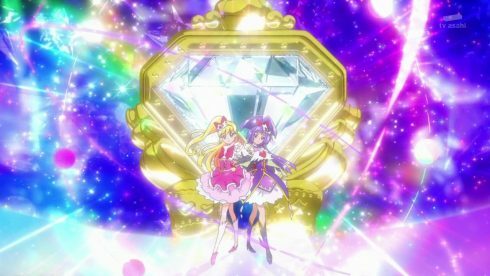 While the story writing, world building and character development were definitely the biggest plusses of the series, the animation quality and the sound (by which I mean both the soundtrack/background music, the OPs and the EDs) were only somewhere between “pretty good” and “decent” to “only okay” at the lowest – particularly ED2 … so much of it felt like it did not fit with the rest of the series to me. The animation quality was actually not as bad as all that, but after the several example of downright amazing animation sequences in the previous PreCure series (Go! Princess PreCure) when Cure Flora was engaged in serious fisticuffs – she was a true bruiser/brickbat sort – I guess my expectations might have been a bit high. That being said, while the animation was pretty good on the whole, the art itself was quite nice much of the time, and effectively helped bring the unexpected creativity of the setting to life.